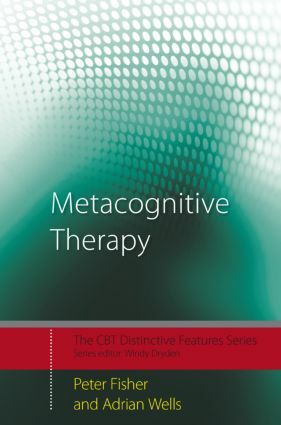 Part I: The Distinctive Theoretical Features of Metacognitive Therapy. A Focus on Metacognition. An Information Processing Model of Psychological Disorder. The Cognitive Attentional Syndrome (CAS). Metacognitive Beliefs. Object and Metacognitive Modes. Reformulated A-B-C Analysis. Detached Mindfulness. Executive Control and Attentional Flexibility. Levels of Control. Types of Knowledge. Processes Beyond Cognitive Content. View of Self-awareness. Varieties of Change. Disorder Specific Models. A Universal Treatment? Part II: The Distinctive Practical Features of Metacognitive Therapy. Conducting Therapy at the Metacognitive Level. Assessment of Metacognition. Case Formulation. Meta-level Socialisation Procedures. Shifting to a Metacognitive Mode of Processing. Modifying Negative Metacognitive Beliefs. Modifying Positive Metacognitive Beliefs. Worry/Rumination Postponement. Attention Training Technique. Implementing Detached Mindfulness. Situational Attentional Refocusing. Targeting Meta-emotions. Delivering Metacognitively Focused Exposure. Developing New Plans for Processing. Integrating MCT Techniques: A Case Study.